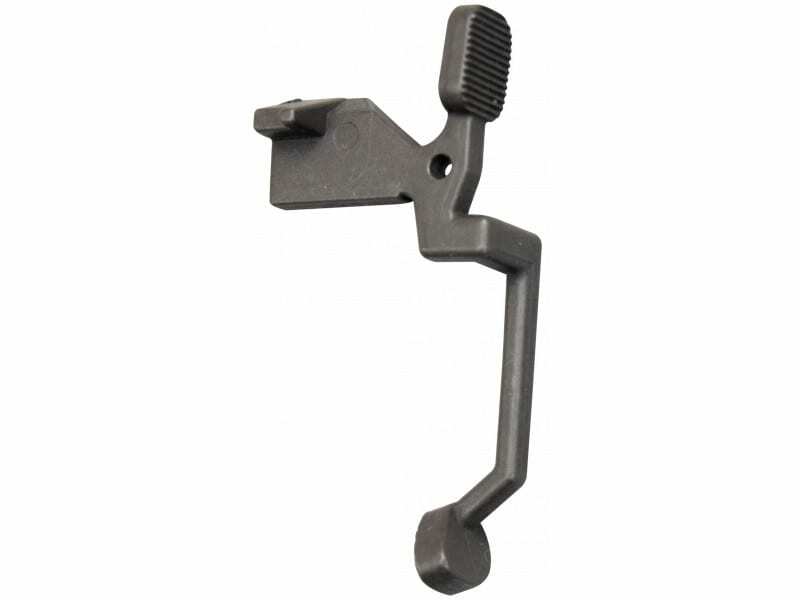 The Bolt Lever: This enhanced bolt release has an ergonomic design to assist with faster reloads while maintaining sight picture of your target. 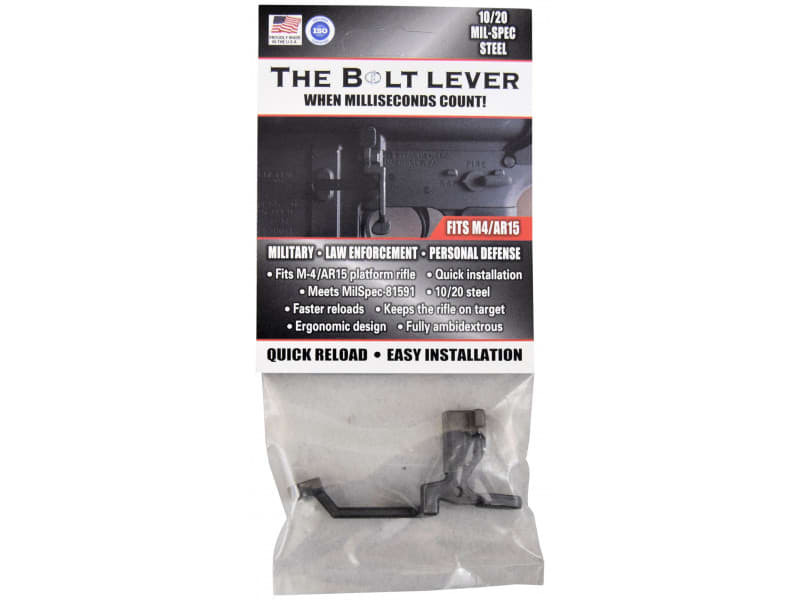 Easily installed in minutes, the Bolt Lever becomes an instinctive part of handling your rifle. Made from 10/20 Steel, meets Mil-Spec 81591. 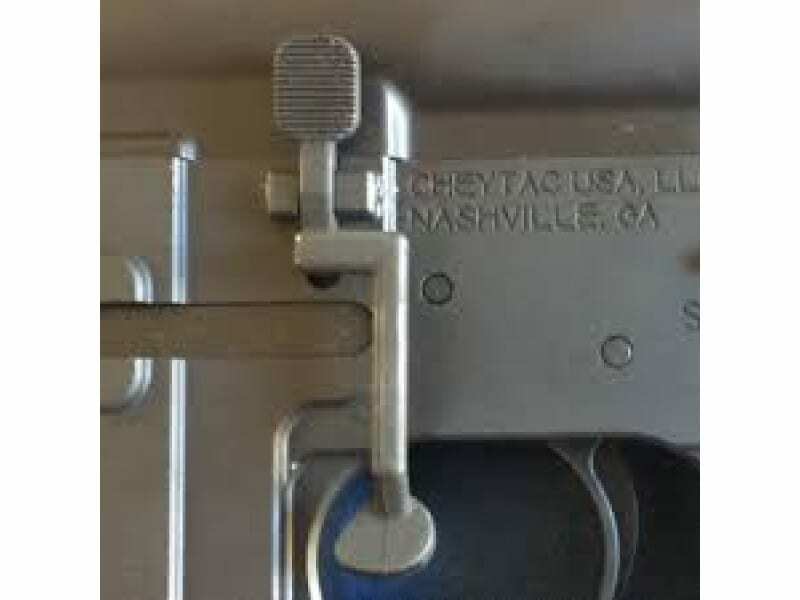 The Bolt Lever is a patented device that replaces the standard OEM bolt catch on an AR-15 platform rifle. Ergonomically designed from 10/20 Mil-Spec Steel. The Bolt Lever allows the operator to close the rifle bolt by depressing a button lever using only the forefinger. 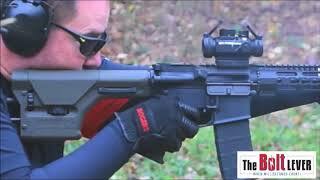 This allows for faster reloads and keeps the rifle on target. The device will also allow the operator to retain the rifle bolt in the open position utilizing the lever. Unlike other existing devices on the market, it isn't an add-on and becomes an integral part of the rifle. It can be installed in minutes and is the perfect complement to any AR-15 platform rifle! TBL offers enhanced functionality, looks and durability. Designed for the exploding AR15 shooting community, TBL accommodates more shooter options than many available bolt release devices. Similar functionality is achieved while virtually eliminating any potential obstruction within the firearm trigger well, a major concern for gloved or shooters with large hands. Solid investment cast construction reduces much of the unneeded and annoying "wiggle effect" found on comparable products. Drop-in replacement installation, instead of bolt-on attachment, provides integrated contact to the firearm's overall operating system. Minimized length and span of the TBL creates a natural and intuitive positioning of the fire control/trigger finger while eliminating points of failure found in similar devices. TBL ensures smooth fire control with no threat of a loosening attachment, and subsequent malfunctions during sustained usage. Opposed to bulky add-ons on the market that appear as an after-thought, TBL is engineered to replicate an OEM appearance. It maintains a low profile and adds pleasing aesthetics to the total weapon system. The Bolt Lever, LLC. is a Disabled American Veteran owned company which was founded in 2015. Our goal is to create a line of 100% American made, tactical, but practical products. We are proudly listed with the Special Forces Charitable Trust.